After months of increasing the quality of our content and growing our readership, I decided to put my hard work to the test with the launch of the first Elle & Company e-course this past March. I was a little nervous; I knew it would be an honest look at whether the content marketing strategy that I had worked so hard to implement had truly paid off. So I waited by the computer as the clock struck 12:00pm and our 40 seats went up for grabs. Less than 15 minutes later, I sat there shocked and excited as my first online product completely sold out. Which is easier: building an e-course and trying to find an audience, or building an audience and then trying to find an e-course that would benefit them? Many entrepreneurs follow the first option. They have a great idea and they go to great lengths to launch it, but they have no audience. I was guilty of this when I first started Elle & Company. 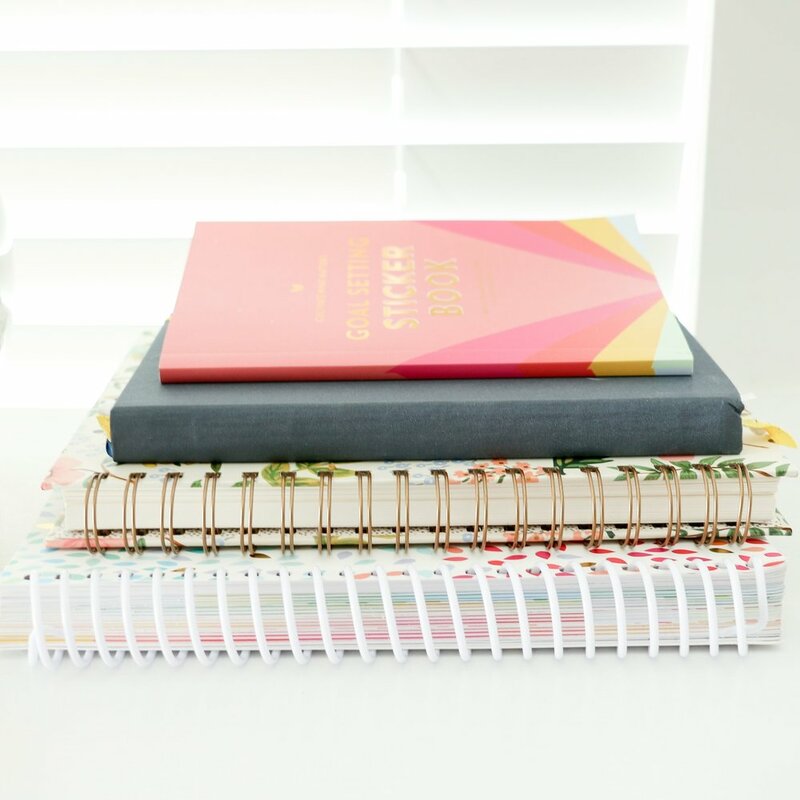 I created a planner and went to great lengths to produce it, but my sales were few and far between because I had a small stream of traffic coming to my site. There are many proponents out there for a small, engaged audience and I agree that engagement is important, but the size of your audience also matters if you’re trying to sell a product or service (especially if you’re trying to sell out of something). Site traffic is a good indicator of your audience size; it gives you a fairly accurate idea of the number of people who are returning to and engaging with your online business day after day. If you’re considering selling an e-course or any other product or service for your business, focus on increasing the number of visits to your site first in order to make things easier on yourself in the long run. Set a specific goal (like 1,000 daily visitors) and create action steps that will help you get there (blogging, social media strategy, networking, etc.). It takes time and patience, but increasing traffic and the size of your audience is essential. While it isn’t a rule of thumb, we’ve seen that a benchmark of 5,000 blog subscribers indicates a large, engaged audience. With an audience that size, you have great potential of selling out of a 50-seat e-course - that would only be 1% of your entire audience! 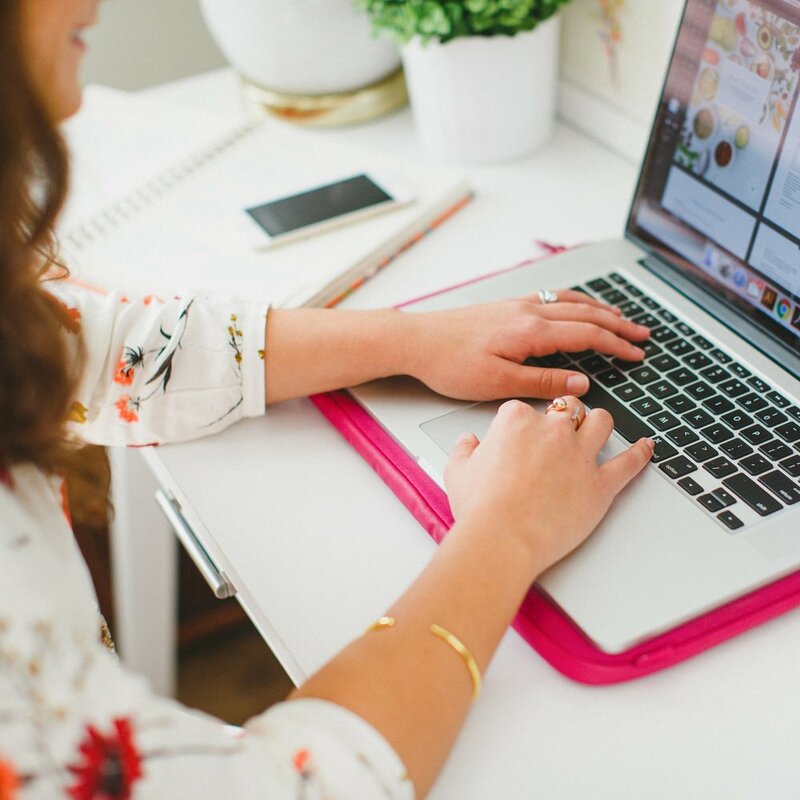 How this played out for Elle & Company: Late last fall, I started to recognize all of the great potential that blogging could have on our business through growing our audience. So I began to put much more time and effort into our posts and challenged myself to crank out helpful articles on the blog for creative entrepreneurs 5 days a week. My audience grew exponentially from December to March (I had just reached our 5,000 blog subscriber benchmark), and during that time I recognized a need among my audience to learn design software for their blog and business. With over 7 years of experience and formal training with Adobe Illustrator, I knew I could meet the need and decided to launch an e-course to teach my audience the basics of the program. It’s hard to resist a product that meets a real need, and if you play close enough attention, your audience will tell you exactly what their needs are. By listening to their feedback in their comments on your blog and social media accounts, contact form submissions, and emails, you’ll be able to find out what they’re interested in. What are your most frequently asked questions? What do people ask your expertise on? What problems do they have that you’re able (and willing) to solve? How this played out for Elle & Company: This area comes a little bit more naturally to me because I’m very similar to the audience I’m trying to appeal to: female creative entrepreneurs. Not to mention design needs are everywhere, from big things like my brand and website to small things like buttons in my sidebar and the Elle & Company favicon that appears in the tab of a web browser. I also started to receive a lot of inquiries through blog comments and emails about the design software I use. The more specific you are with what you’re offering and who you’re trying to offer it to, the more you can zero in and appeal to a narrow niche. It’s also important that your niche aligns with your expertise. For example, if you’re a social media expert, an online course on developing a better social media presence might be too broad. But if you take that concept and narrow it down, like “how to gain 1,000 new Twitter followers in one month,” you have a better chance of grabbing the attention of the right audience and making sales. Doesn’t option 2 sound much more appealing? How this played out for Elle & Company: Instead of leaving the Adobe Illustrator e-course open-ended, I decided to make it more beneficial (and more appealing) to the Elle & Company audience by gearing it specifically toward bloggers and business owners. I could still highlight the basic tools and features of the software, but I could use examples that would be helpful for my audience, like blog post images, media kits, inspiration boards, etc. Some people get a little gun-shy when it comes to promoting their products. They post it once or twice on a few social media platforms for fear of oversharing and annoying their audience. But there are two problems with this method. One, you’re assuming that your followers don’t want to see what your offering. And two, if people are going to unfollow you because you’re sharing about your products, then they weren’t going to buy from you, anyway. The purpose of using social media accounts for an your business isn’t to boost your ego; it’s to funnel individuals to your website. Use discretion on the frequency and the wording of those posts and don’t go overboard, but definitely use those accounts to your advantage. Post to Twitter between 5-20 times per day. The shelf-life of a Twitter post is only approximately 18 minutes, which means that you have an opportunity to post more often. Post to Facebook between 5-10 times per week. The shelf-life of a Facebook post is approximately 90 minutes. Post to LinkedIn once per day (20 times per month). And according to Forbes, it's ideal to post to Instagram between 1-2 times per day. You can use the above information as a template for the 90/10 rule (90% beneficial posts, 10% promotional posts). For Twitter, this means somewhere around 1-2 times per day. For Facebook, this means 1 post per week. And for LinkedIn, this means twice a month. Bear this in mind as you're planning out your social media strategy for promoting your product. How this played out for Elle & Company: With the help of a videographer, I came up with a promotional video for the e-course and I shared it across all platforms. I also used photos that were consistent with my brand and shared the promotional images on my blog and across all of my social media accounts on several occasions. It’s important not only to promote your product on all forms of social media, but to put careful thought and consideration into the wording of each tweet, post, or email. The way you pitch a product to prospective customers will make or break whether or not they will buy it. Your copy should tell people exactly what your product is going to do and how it will benefit them. No one will buy something that’s vague or doesn’t have value; you have to provide them with specific takeaways. Remove every shadow of a doubt and explain exactly what they will get for their money. Furthermore, there are a ton of products out there and odds are there are many that are similar to yours. People need to see that what you’re offering is unique; highlight those differences in your copy. How this played out for Elle & Company: I tried to be very intentional with the wording of every promotional item for the course, especially within the video. See for yourself here. One of the most effective ways to create demand and sell out of a product quickly is to slowly warm people up to your idea. This is also known as “pre-selling,” and the objective is to create interest before you even introduce your product. This goes hand-in-hand with paying attention to your audience, but you can continue to point out your audience’s need for your product by doing some clever marketing on your blog. How this played out for Elle & Company: When I decided to launch the Illustrator course, I knew that it would be confusing for my audience if it came out of nowhere. So I started to warm up my audience to the idea by explaining the benefits of Adobe Illustrator for business owners and bloggers within my blog posts. I shared 40 ways to use Adobe Illustrator to improve your blog and business and how I create graphics for my blog and business. By planting the seed about the software, it created context and made more sense when I launched the course within the same month. Smart salesmen and marketing professionals understand the importance of creating a sense of urgency among buyers. When you limit the quantities of your product, you have more of an opportunity to increase demand and create that sense of urgency for people to land a spot in your e-course or snag a copy of your limited number of consultations. If you leave it open-ended, people don’t feel as much pressure to buy right away or try to snag a spot before they’re all gone. And if you sell out, it will create even more demand because people will be able to see the amount of interest others have in your product, too. How this played out for Elle & Company: By only allowing room for 40 seats in the course, I was able to create more demand and urgency among our audience to land a seat. I was stunned to see the number of visitors on our site in the minutes before noon when the course opened for registration, and I was even more surprised at the number of emails and comments I received from interested followers who weren’t able to grab a seat in time. Create a plan for launching the course and set a sequence of events. Don’t give everything away all at once; build anticipation by telling people about your product and waiting a little while to make it available or open registration. During that waiting period, share about the product in blog posts, newsletters, and over social media accounts. Ask others who are well-known within your industry to share about your product by offering it to them for free or creating another incentive. Reiterate the limited quantities and continue to promote the benefits across all of your marketing platforms. How this played out for Elle & Company: After making the announcement about the e-course, I waited a couple weeks to open registration. In the meantime, I shared the promotional video and images on social media and networked with other creative entrepreneurs who had a similar audience in order to reach a larger number of people. The strategies that I used to quickly sell out of our first e-course were simple but effective. I can guarantee that by following all of these simple steps above, you’ll be able to create a buying frenzy for your online product, too. Have you launched an online product? Which strategies did you implement and what did you learn from the experience?